At the end of October, I had the opportunity to visit Seattle, Washington. This was my second time visiting, the first being about three and a half years ago. Upon visiting, I completely fell in love with the city. This second time was no different; I fell in love with the city again the moment I saw the Space Needle among the rest of the Seattle skyline. I was visiting the city with one of my best friends, whom had never been to the city before, so I had the chance to play tour guide based on my experience from my last visit. Seattle is the largest city in the Pacific Northwest and is a major port for the West Coast. 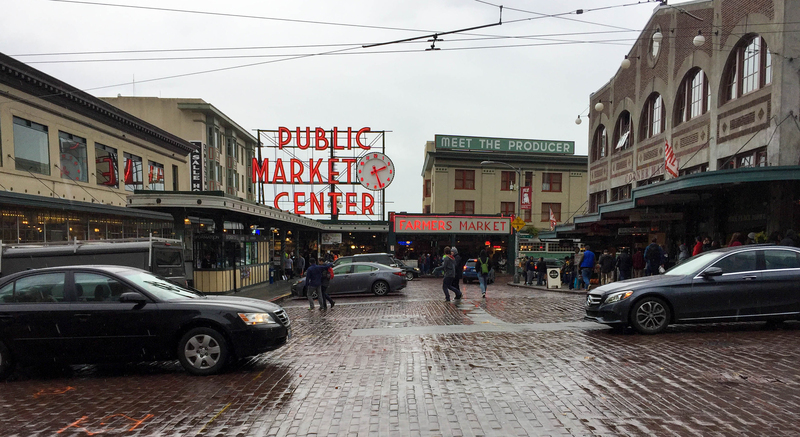 The city was born at Pioneer Square and has expanded from Sea-Tac to the south and The Seattle Center to the north. Seattle is home to the birthplaces of Starbucks, Amazon and Nordstrom. As a visitor, you can visit both the original Starbucks and Nordstrom flagship. The original Starbucks sits outside Pike Place Market and has its own “Pike Place Reserve Roast” that coffee lovers can get at only this establishment. In addition to Starbucks, Seattle is also home to Seattle’s Best Coffee and Tully’s Coffee, making the city a hub for some of the country’s best coffee. While Seattle has the reputation for all of the rain and gloomy weather, I was pleasantly surprised at how nice the weather was when I was there. It did rain, but only for short periods of time, clearing up as the day progressed, eventually to reveal clear skies and sunshine. Compared to Colorado’s abnormally warm fall, Seattle was the perfect dose of fall weather, perfect for breaking out the L.L. Bean Boots. 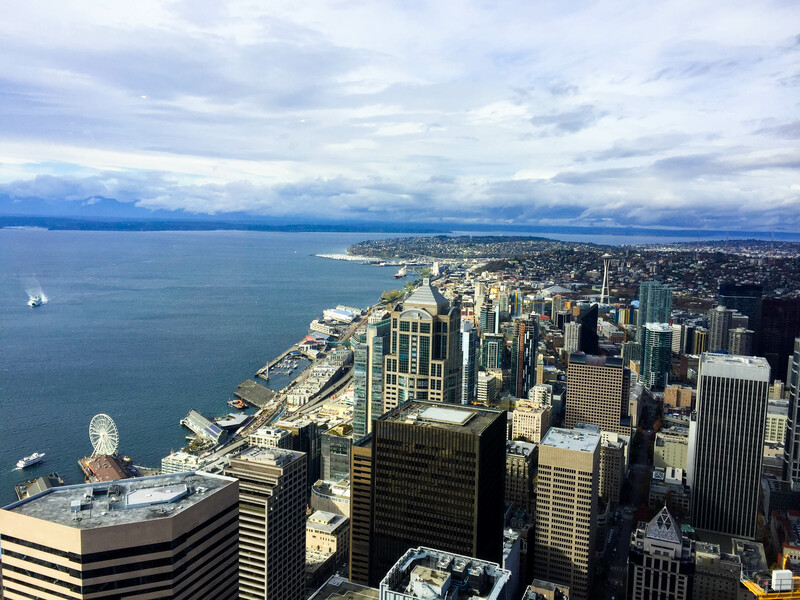 In the three days I was in the city, I went everywhere you could possibly go: Alki Beach, Pioneer Square, Pike Place Public Market, Kerry Park, the Space Needle, and the Columbia Center. 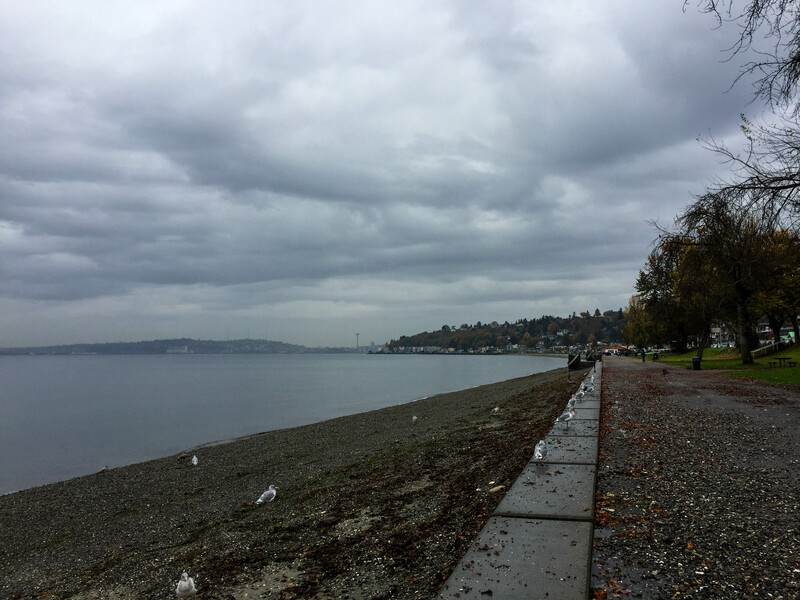 After my second visit, Seattle still stands as one of my favorite cities visited in the U.S.
Our first stop was Alki Beach in West Seattle. 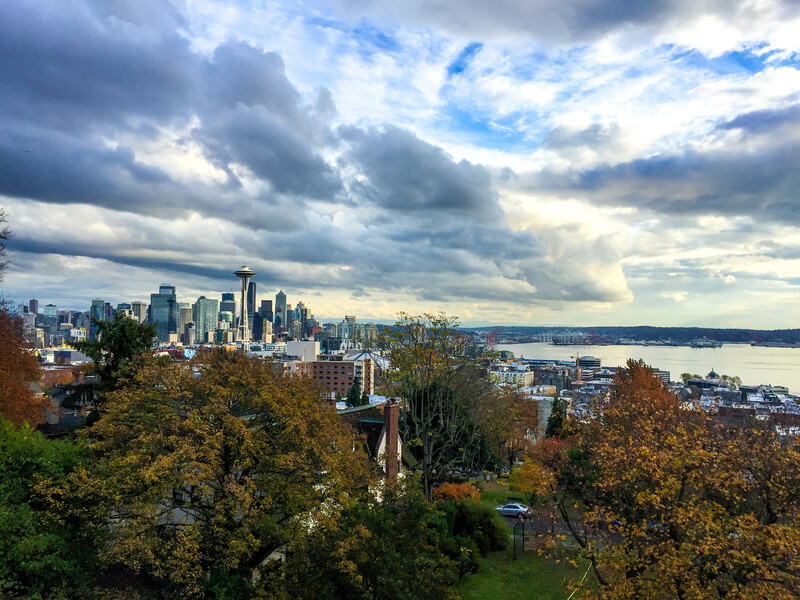 At Alki, you get the perfect view of the skyline of downtown Seattle, marked by the Space Needle. The beach itself was entirely comprised of different types of rocks, different from a traditionally sandy beach. Locals head out into the chilly Pacific Northwest waters to go diving for crabs. The highlight of the trip for me was Kerry Park. On a clear day, you can see the Space Needle among the rest of the downtown skyline, Mt. Rainier and out into Puget Sound. Kerry Park is in the Queen Anne neighborhood of Seattle, just north of the Seattle Center. Pike Place Public Market is one of the oldest and largest open air market in Seattle, opening in 1907. The market is home to local craft and food vendors, selling a variety of different products. The market is known for their selling of fresh fish that can be bought and shipped worldwide. Pikes Place is also home to the Gum Wall, where people from all over the world come and stick their gum on it. The Space Needle has been a tourist attraction in Seattle since the 1962 World’s Fair, where it was once the tallest building west of the Mississippi River. 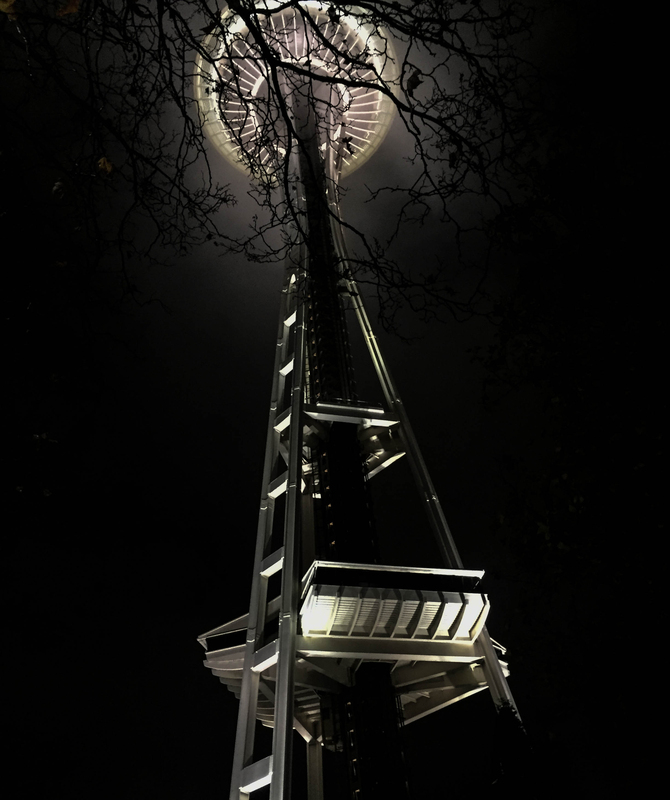 The Space Needle is part of the Seattle Center, along with the Chihuly Garden and Glass museum, International Fountain, Seattle Pavilion and many other attractions. Visitors can also take the Seattle Monorail, which travels between the Seattle Center and the Westlake Center. The Columbia Center is home to the SkyView Observatory, which stands nearly 1,000 feet above sea level. It is the highest public observatory in the Northwest, offering a 360 degree view of the city. In my personal opinion, this gives a better view of the city than the Space Needle does.